About two years ago I made a learning roadmap for network engineers who want to transform their skills towards Software Defined Networking. I presented it at various events including Cisco Live. It was good, but it looks like I didn't provide the full story. So let's discuss it again, and we will start from the very beginning. Any network engineer who just starts his or her career today will begin in Phase 1: as the User of networking products where the engineer only knows how to configure the product, hopefully by reading the documentation from the vendor's website first. This type of engineer is what I call "Config Monkey" (sorry, monkey!). If you think you are still in this phase, please don't get offended: I started my career here too. There is no innovation at all, only follow the manual to make the products run. Then we will move to Phase 2: as Advanced User of networking products. This is the phase where the engineer understands how networking protocols work in detail. He is a domain expert now and can start fine tuning the protocols to optimize the infrastructure. 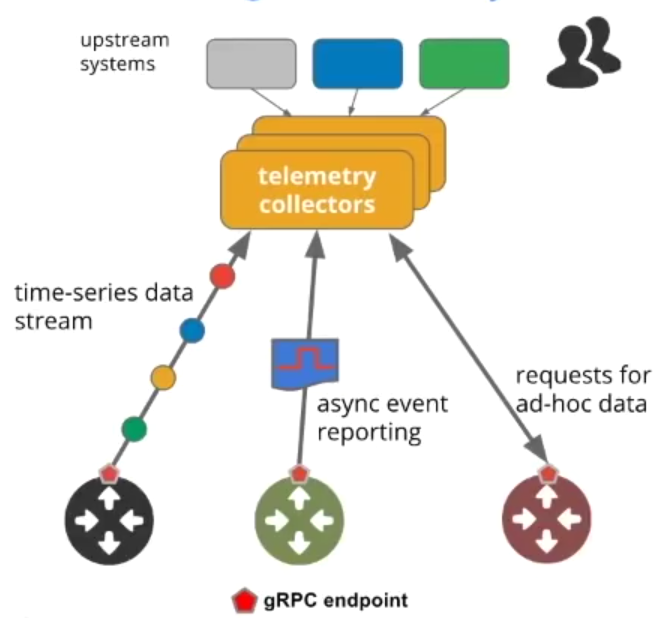 IGP timers, fast re-route, BGP attributes etc. and the engineer should go back and forth between the protocols standard and how they get implemented in vendor's products. So all the fine tunes are based on the 'knobs' provided by the vendor. And by nature, phase 2 network engineer possesses the skill to do troubleshooting as well. Phase 3 is when the engineer starting to become System Integrator. 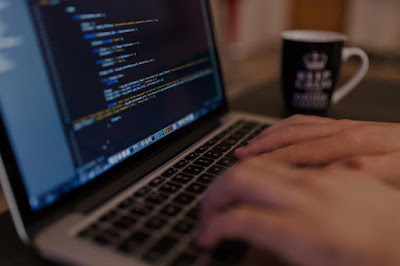 Even it's similar like Advanced User, but now the engineer must deal with different network functions from wireless access and top of rack switches to security devices, firewalls, domain names, caching, network-based storage, content delivery, application load balancer and so on to provide end-to-end services to end users. He is aware about design trade-offs of various choices. There is still no innovation yet, however by now the engineer has possessed the skill to design, integrate and fine tune complex system all the way to application layer. 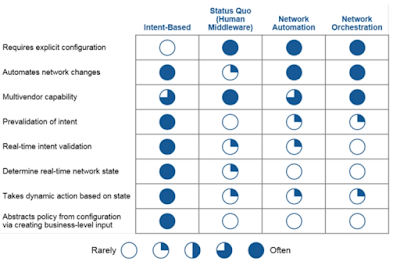 SDN and network virtualization comes to the picture in Phase 4: Advanced System Integrator. The system now consists both physical and virtual components. Overlay network runs above the underlying physical infrastructure. Virtual infrastructure has multiple controllers and managers that need to be integrated between each other. 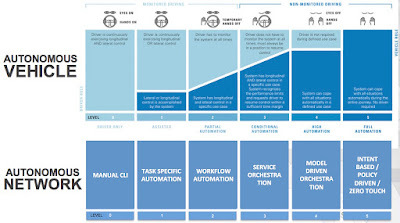 Network services have life cycle from initiation until depletion so it must be monitored. Phase 4 engineers talk about APIs when integrating different components. 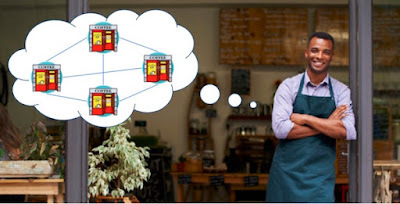 Both physical and virtual networks must run in harmony to provide end-to-end connectivity for the users to access the applications and services. Once the engineer passes Phase 4, this is the point where he can decide to take either one of different technical paths: first, is to move towards the business and start becoming Solutions Architect. Architect must translate business requirements into technical specifications, and provide integrated solutions to answer the requirements. We can live happily ever after here. I know it because I used to be in this phase for many years when I work for Cisco. 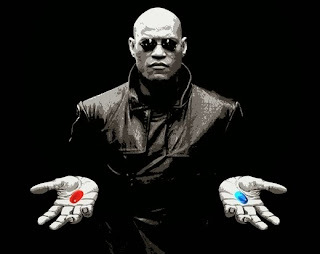 The second path is like what Morpheus described as the red pill: stay in Wonderland and learn how deep the rabbit hole goes. We can choose to stay as engineer to go even deeper in the next two phases. Phase 5: Contributor. Phase 4 engineer assumes all components will just work when they are integrated, just like playing Lego. Yes, she still needs to understand how one component consumes the API of the other component. But in reality the integration is not, or never, that straight forward. Engineer moves to phase 5 once she starts developing few components to make the system works smoothly. It could be as simple as making automation script using SDK provided by the product's vendor. Or create new driver for an open source platform to connect to specific network device. Or customize the current module of one software to make the system runs. Engineer writes code, understands software development workflow, and fills up the missing ingredient to build one solid system. Phase 6 is the phase served for Creator. This is the God-mode in Network Engineering. Engineer can look at the current network protocol and decide to invent the new and (hopefully) the better one. When building a complex system with multiple products from different vendors, engineer can assess if it is required to build new software component to have a successful integration. Phase 6 engineer thinks about scalability all the time, centralized vs. distributed model, and about the workflow from beginning of user's request until the service is provided. She generates ideas require to solve complex and open-ended problems. She thinks agile and runs iteration to optimize the system. Engineer in this phase is the one who translates business intent into automated workflow execution to deliver the service. So let's look at my T-shape SDN Skill Transformation path and try to relate it to the 6-phase of Network Engineer Evolution above. Obviously you need to be at least a Phase 3 engineer before looking at this path. To start the journey in Phase 4, you need to learn virtualized infrastructure for network, compute and storage as well as the managers and controllers to manage them. Learn abstraction and modeling. Then learn software architecture and engineering. Get involved in software development. Start writing code or optimize existing code to move to become Contributor in Phase 5 and beyond. Or if you decide to take Solution Architect path instead, switch the mindset and learn business skills. I won't mention any vendor's product, or any vendor's certification, anymore in the evolution. Understand the expectation of what engineer in each phase has to deliver, skills that must be possessed, then make your own judgement to decide which vendor or which certification program (if needed) you want to use in your learning process. And please don't be mistaken to think I self-proclaimed myself as a Phase 6 engineer. I made decision a while ago to become Product Manager instead, that provides me opportunities to work with many creators to build the next cool things in networking. Final thought: it's okay to start as monkey once. But knowing where we are, and where we want to be, can surely help to plan how to get evolved. One year ago today, fourth of July, was my first day at Google Zürich. It’s been a very interesting journey so far, and from the beginning I spent most of my time to focus on three things: switch to Product Management to learn how to build great product, work on scalable Enterprise networking solution from cloud-based SDN to intent-driven automation, and learn data analysis in-depth from data visualization all the way to Machine Learning, to be used in product development. As you notice, I rarely post new blog since I joined the company last year. And I find it quite difficult to find any active blog from other Googlers too. Just like any tech company, when we joined all of us signed an agreement containing various obligations including the requirement to hold proprietary information and trade secrets in strictest confidence. 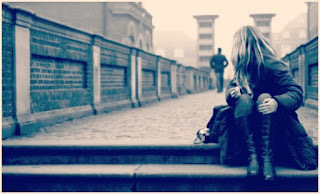 But I believe there should be some non-confidential things that we can share in our personal blog. So why can’t we blog? First, we are very busy here. And not because we have to, but we choose to. 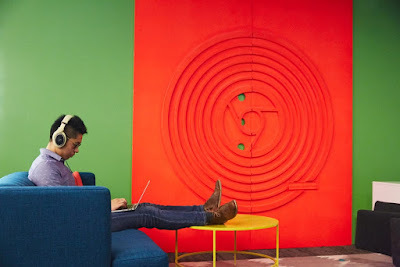 I mean, there are just too many interesting things to do and to learn at Google. If you work for the best company in the world that empower every employee to innovate, in everything we do, you surely want to spend time the best you can. 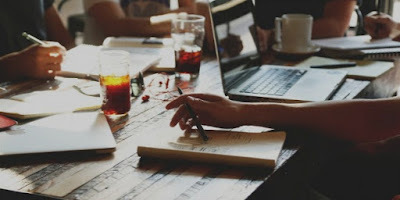 We write a lot, like writing product requirement document, design specification, or execution plan, but then we will be busy building the product and getting things done. Second, most of us feel that what we do is not new. There are so many talented people in Google with great ideas and executing them everyday. So unless we innovate something completely new, or improve something to make it 10x better, most Googlers think what we do is not new, it’s common, and we assume everyone must has known this already so it’s not worth sharing. That could be true for within Google but some of the ways we do things here (again, the non-confidential things) could be very useful for people outside. Third, we are trusted with so many confidential information, we don’t want to unintentionally share them. Google culture is very open. 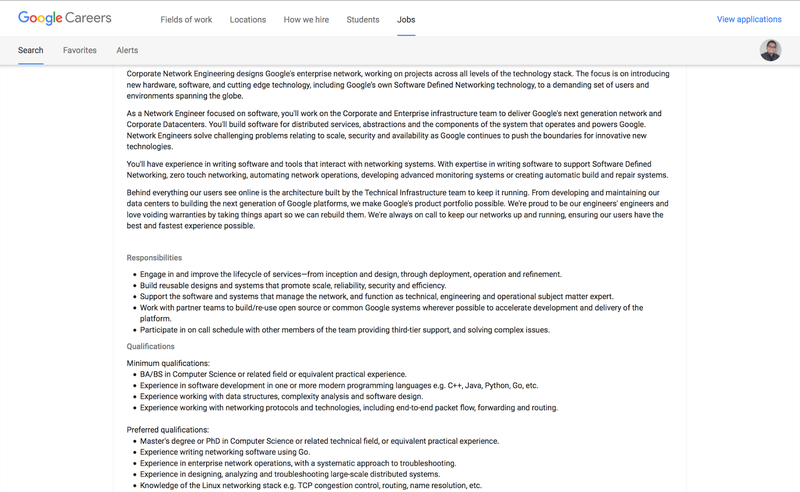 Every Noogler, new hire, usually get access to Google codebase within the first week in the company. Employees share their salary and bonus in Google sheet. There is a weekly company-wide all-hands meeting called TGIF where top management to various teams present about a product Google has been working on, and then take any questions from the audience. Any questions from old timer to new hire and even intern. And we are all trusted not to leak the information to outside the company. This has created the culture of trust, that make us believe we are truly part of the family. And as family member, you don’t want to break the trust by sharing confidential information even unintentionally to outside the family. Having said those, I will still try to continue blogging here. Every beginning of the year I usually review what I have done the past one year, make notes, and build the plan for the upcoming year. I made many mistakes in the past, did things I’m not proud of, however I use them as opportunity to learn and try to be better next time. Early 2016 I found that my startup company was competing directly against Cisco (that was still my employer at that time). That was quite surprising. I founded that company in 2012 initially as my pet project, the lab for my MBA, where I can practice whatever I learned from the business school. My pitch for the startup was simple: we do what Cisco (or Cisco Services) will not do. We built online learning platform to learn Cisco certification using group mentoring system. We run physical network audit. We did system integration projects to interoperate Cisco products with any other vendors. However, since late 2014 the engineering team in my company have evolved. They grew skills in network programming. The team put more focus on Software Defined Networking (SDN). 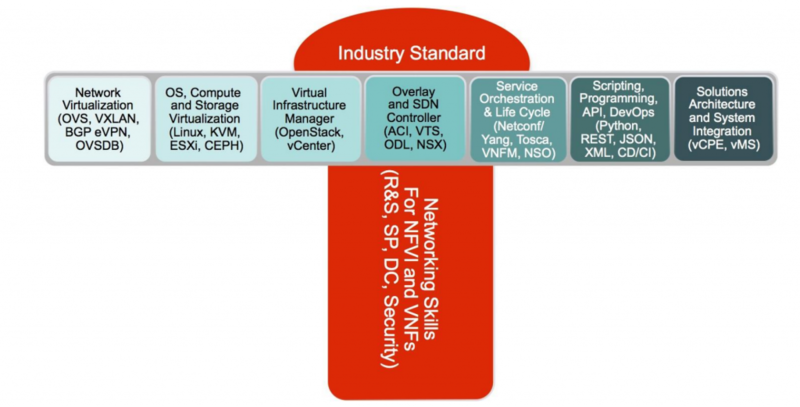 They built lab to validate Network Function Virtualization (NFV). And then the team started to develop our own SDN Controller and Network Automation platform. Then customers started to come. 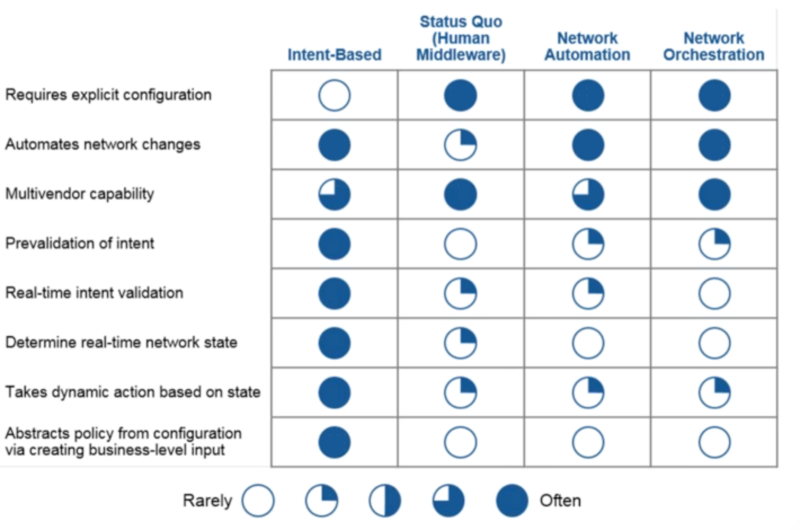 Customers wanted SDN solution, NFV infrastructure and network automation, but the ones that are vendor-agnostic. They came to my company. They asked the team to bid in the project. That’s when finally Cisco started to notice because they were bidding too. Early April I decided to resign from Cisco to run my own company as full time CEO. 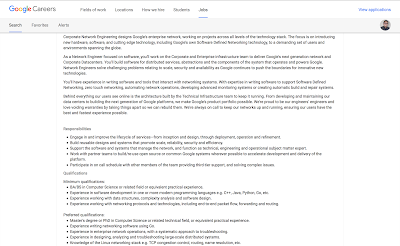 Mid 2016 I received an offer from Google to join them in Zürich, Switzerland. From April I have built company vision for my startup and laid multi-year strategy, and I knew they can be executed under the current leadership team even without me. I also have personal reason to move my family to Europe. So I agreed to leave Dubai and started working at Google from July. Google has created 7 great products with more than a billion users using each. 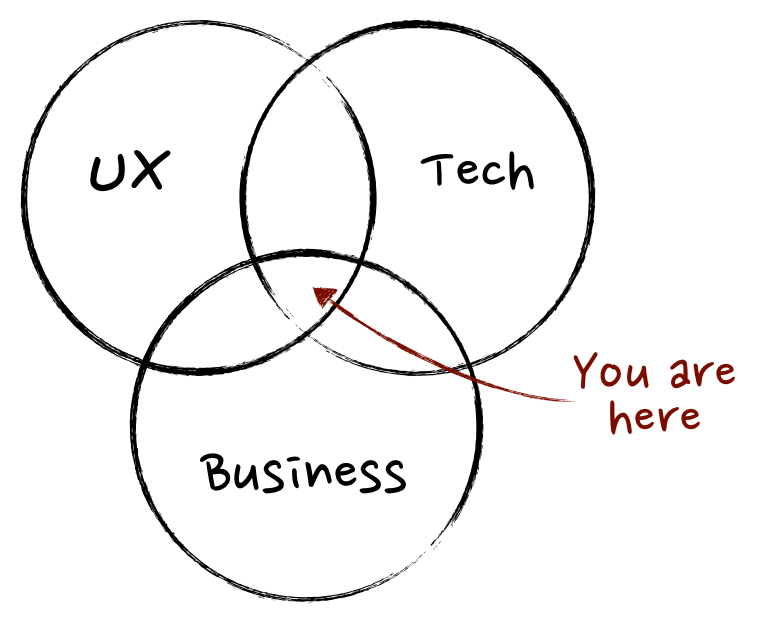 And as Ben Horowitz wrote: a good Product Manager is the CEO of the product. A Product Manager combines business, technology, and design in order to discover a product that is valuable, feasible, and usable. Product Management is above all else a business function, focused on maximising business value from a product. A Product Manager understands the technology stack from the product, and most importantly understanding the level of effort involved is crucial to making the right decisions. 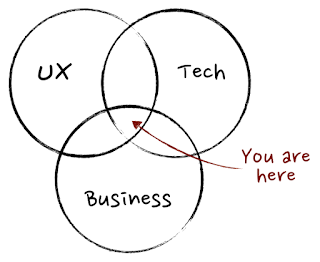 And Product Manager is the voice of the user inside the business and must be passionate about the user experience. Deep down inside I’m still a network engineer. I’ve been focusing on SDN & NFV since 2014 when I was in Cisco. Google has been using software-based solution in its network infrastructure even before the world called it SDN. However, I’m currently interested with highly scaled SDN solution using cloud based platform. 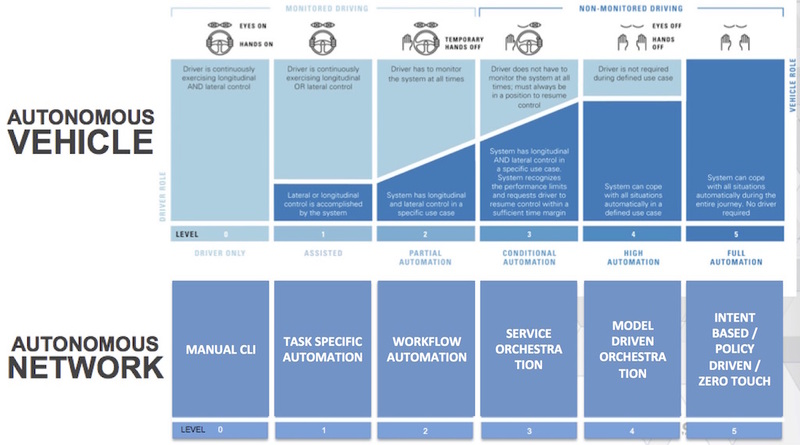 And I’m very interested with transformation path for any Enterprise company to evolve towards a fully automated network operation. I even built the five levels of Autonomous Network, mimicking the levels in Autonomous Vehicle, and currently working on the fifth level: intent-based, policy-driven, zero touch networking. Google is the best place to learn Data Science. Period. With Google Brain and DeepMind as part of the Alphabet group, this is the only company I know that puts Machine Learning first in every aspect of its products. 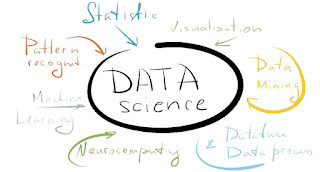 Currently I'm focusing to learn about data analysis, data vizualisation and predictive analysis using machine learning. The three things above are still my valid learning plan for 2017. How about you? What is your learning plan this year? With data analytics and machine learning. “Building the network of the future”. Got it?